At this point in history, biologists have a fairly comprehensive idea about how the human body works. After centuries of research, they understand how human organs work together to process food, water and air to keep bodies going. Humans know how a network of nerves and receptor cells allow them to touch, feel, see, taste and hear. And while neurologists are still studying the fine details, they understand what parts of the brain control which aspects of life and bodily operations. However, scientists have yet to crack the literal code at the center of the human body. Deoxyribonucleic acid (DNA), the genetic code that defines whether someone has freckles or not, the color and texture of hair and whether blood cells are stable, is still full of mysteries. In order to solve these mysteries, scientists create maps. Linkage mapping and chromosome mapping are two methods used to understand genes and DNA – methods that are similar enough to be confused, but easy to understand with a bit of explanation. Linkage mapping and chromosome mapping are two different methods used by geneticists in the pursuit of understanding how DNA works. The former determines what genes lead to which physical expressions in an organism's body, while the latter determines the physical location of a given gene on a chromosome's chain of genes. Both methods are used to work towards the goal of understanding, but they take two different approaches. Before learning the difference between chromosome and linkage mapping, it's important to understand the difference between a gene and a chromosome – and how DNA relates to both. DNA is the chemical base of heredity and how traits are passed from parent to child. DNA chains are contained in genes, which generally control whole traits, and genes are found on chromosomes, which are structures that bundle anywhere from hundreds to thousands of genes together. Chromosomes come in 23 pairs, and these pairs – inherited from your parents – contain the blueprints your cells used and still use to make you the person you are. Chromosomes are stored in the nucleus of each cell in your body (except for blood cells), and let the cell know how to function as a part of you. The Human Genome Project, completed in 2003, has established a list of all the genes that can be present in the human body – but researchers still have a lot of work to do in order to understand what each gene does in the body. This is where mapping methods come in. Linkage mapping, also referred to as genetic mapping, is a method of mapping out an organism's genes to determine what physical characteristics each gene or grouping of genes affects in the body. Linkage mapping uses the concept of genetic linkage: The idea that genes located closely together on a chromosome are often inherited together, and as a result control the paired cluster of characteristics known as a phenotype. Linkage mapping helps researchers understand where genes are located relative to one another, but in order to understand where precisely they exist on a chromosome, a different type of mapping is required. Chromosome mapping, commonly referred to as physical mapping, is a mapping method used to determine where a given gene exists on a chromosome – and while information from linkage maps is often used to establish chromosome maps, chromosome mapping is more interested in the physical placement of genes than in the expression of those genes. Various types of physical maps exist in genetics; for instance, in addition to tracking where specific genes are located through traditional physical mapping methods, restriction mapping is used to identify where cuts are made in DNA chains. When combined with linkage mapping, research along these lines provides a better idea as to what parts of the genetic code control specific traits – like whether you have freckles or not, or if you might suffer from sickle-cell anemia. The core difference between the two types of mapping is that linkage mapping charts the placement of genes relative to related genes that form a phenotype, while chromosome mapping charts individual genes on a static chromosome. The uses of these methods of gene mapping vary. Today, a common practical application involves using these maps to cross-breed plants to produce higher crop yields or more visually pleasant flowers, which may make them seem less than useful on a grand scale. 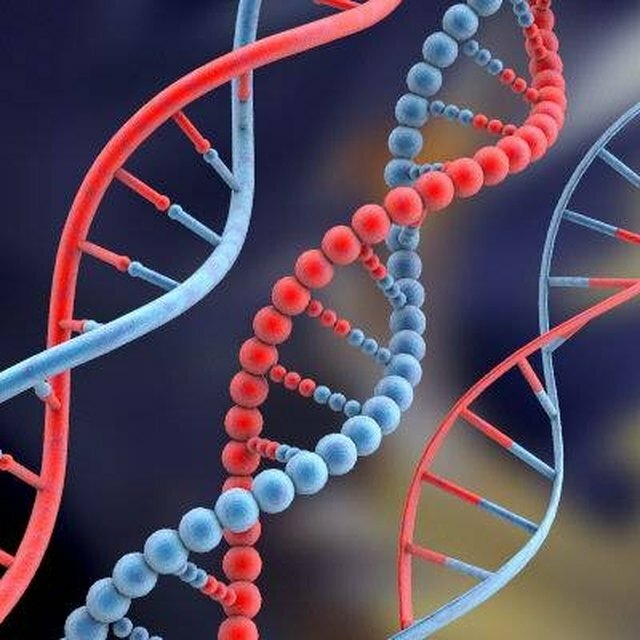 However, in tandem with tools like CRISPR-Cas9, these gene mapping methods may eventually allow researchers to solve medical problems resulting from DNA mutations. By gaining an understanding of where genes are located on a chromosome and how they manifest in an organism, scientists will be able to assert more direct control over DNA, which is an ability that could be revolutionary. 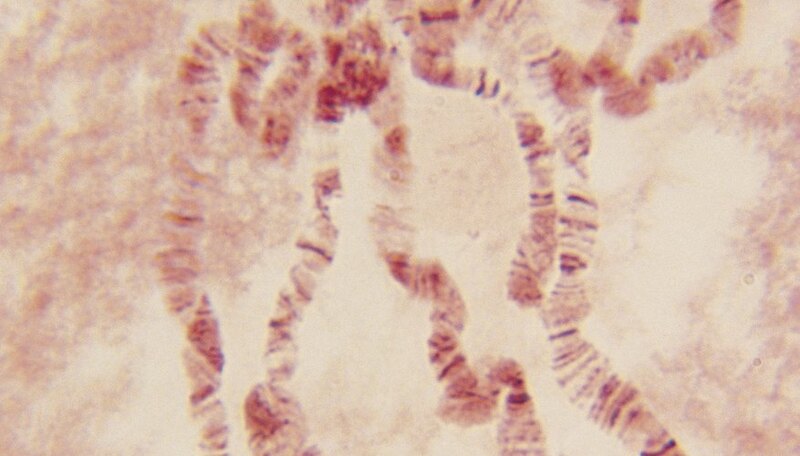 Scitable: What Are the Difference Between Cytological Map, Linkage Map and Physical Map? Flournoy, Blake. "Difference Between Linkage Mapping & Chromosome Mapping." Sciencing, https://sciencing.com/difference-between-linkage-mapping-chromosome-mapping-16804.html. 29 October 2018. How Can a Mutation in DNA Affect Protein Synthesis?